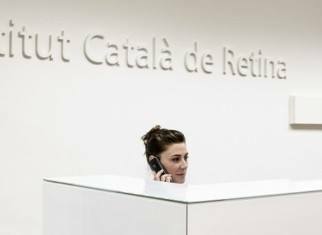 ICR’s Terrassa branch, located in the iconic Casa Ignasi Escudé Galí, offers a high quality ophthalmology service to the people of Terrassa. The centre, which comprises two rooms for ophthalmology consultations and two for optometry, provides a wide range of eye tests and treatments. The branch, which was founded in 1986, has various subspecialties (refractive, general ophthalmology, cataract, paediatric ophthalmology…) and the very latest equipment for diagnosing and treating eye diseases. These include optical coherence tomography (OCT), Yag and Argon lasers, or biometry with IOL Master, amongst others. In addition, tests for evaluating refractive surgery are carried out on Monday, Tuesday, Wednesday and Friday mornings and Wednesday and Thursday afternoons. This means that patients at the Terrassa centre can benefit from the same services and technology that we provide at our Sarrià headquarters. Another service offered by the ICR branch in Terrassa is an emergency service available during our opening hours, available from 9:00 until 13:00 Monday, Tuesday, Wednesday and Friday and from 15:00 until 19:00 in the afternoon from Monday until Friday. ICR Terrassa has signed several agreements with different insurance companies to provide a personalised ophthalmology service, close to its clients. And speaking of being close, ICR Terrassa is located right in the centre of the city on Carrer del Nord, 77, making it easy to access on public transport, by bus or Ferrocarriles de la Generalitat de Catalunya (FGC). If you would like to do a quick virtual tour of our Terrassa branch, consult the insurance companies that we have agreements with or receive more information, do not hesitate to visit the branch website where you will find maps, addresses and contact numbers.